Author: McAllister, Byron and Kay Set In . . . Description: Age and marriage haven’t impaired the brains of Carola Szegy and Ned Nackero, crime solvers of Runaway Nudist and Undercover Nudist. 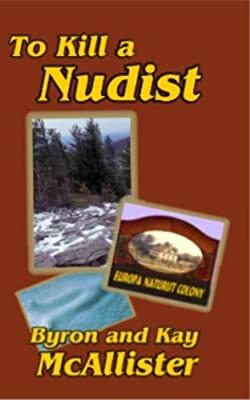 In this adventure, in the middle of a mountain pass snowstorm, they encounter a fellow nudist being stalked by a crooked lawman and his corrupt boss; they lock horns with a well_meaning but sick_minded anti_government "militia"; and, of course, while the cold and snow settle in, they also determine who killed whom, and how, and why.